The National Film Development Corporation of India (NFDC) is inviting entries from Filmmakers and Screenwriters for Children’s Screenwriters’ Lab and Film Bazaar Screenwriters’ Lab. Apply Now If you are interested and eligible. 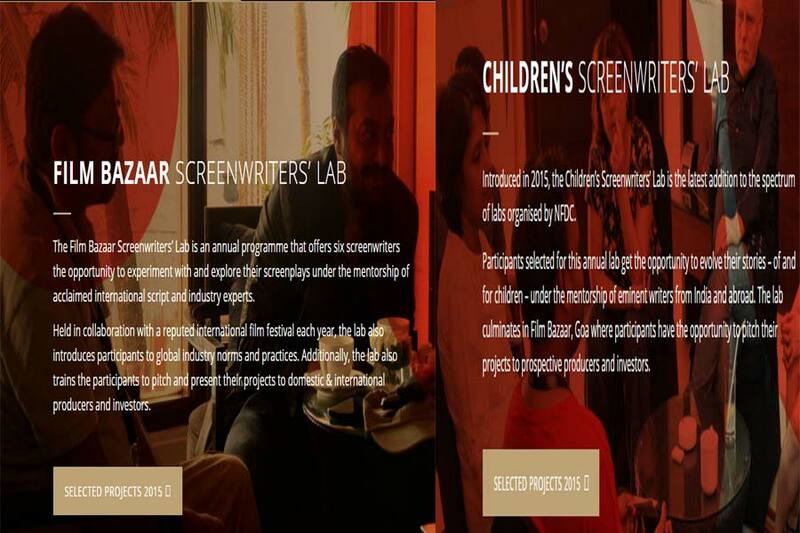 What is NFDC’s Children’s Screenwriters’ Lab? NFDC introduced this program in 2015. The selected participants will get the opportunity to develop their stories – of and for children –under the guidance of reputed writers from India and Abroad. At the end of program, the participants get the opportunity showcase their projects to potential producers and the investors invited by NFDC. What is NFDC’s Film Bazaar Screenwriters’ Lab? Film Bazaar Screenwriters’ Lab is a yearly programme by NFDC for giving the opportunity to six selected screenwriters to evolve their stories under the mentorship of the acclaimed international script and industry experts. Every year, the program is conducting in collaboration with any international film festival. Last year, NDFC collaborated with Sarajevo Film Festival , known as the premier and largest film festival in Southeast Europe.